Udaipur, also known as Lakecity or The city of Dawn, with land around the immense water lakes, folded with hills of the Aravalis. A dream come true location of romance and beauty. I must say words are not enough to define the beauty of Udaipur. It can be verified by the fact that it’s one of the best tourist places not only in India but all over the world. Anyways that’s a fact which most of us know. But what’s more interesting is people from all over the world not only love to come and visit Udaipur but also like to watch Udaipur in Movies, Pictures and daily television shows/soaps. As Udaipur is a fascinating blend of sights, sounds and experiences – an inspiration for the imagination of artists. 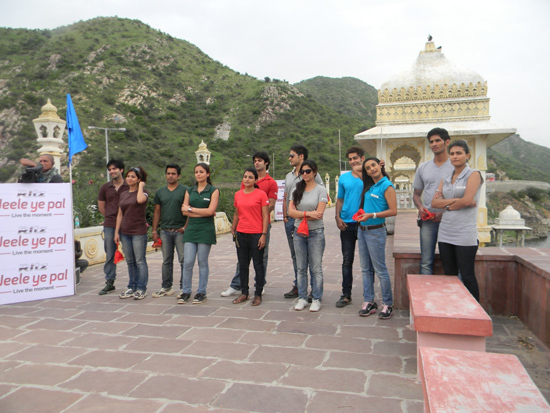 The latest notification is about “Ritz Jeele Ye Pal”, which is an auto adventure reality television show, where 6 celebrities will pair with 6 young Indians from various regions of India to experience the great outdoors across different locations of Udaipur. There are twelve participants in the show including six celebrity participants who are Kinshuk Mahajan, Karan Wahi, Gaurav Khanna and beautiful leading ladies like Rati Pandey, Anupriya Kapoor and Pavitra Puniya. 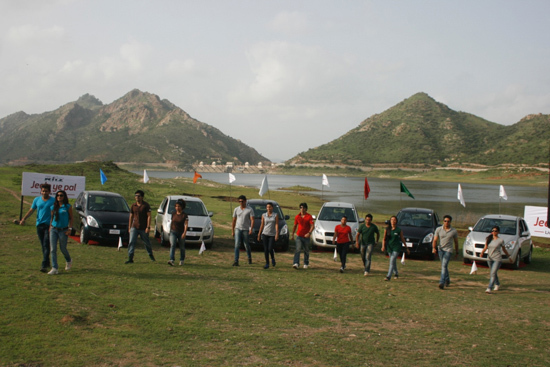 The show is based on team race in their smart Ritz cars and some other tasks to win points, according to the concept of the show the real winners are they who savour and live every moment of their experience in the show, to the fullest. 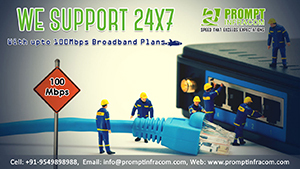 This show is produced by Lin TV Advertising Pvt Ltd (Lintas media group) and Spil A Tale Entertainment Pvt Ltd. 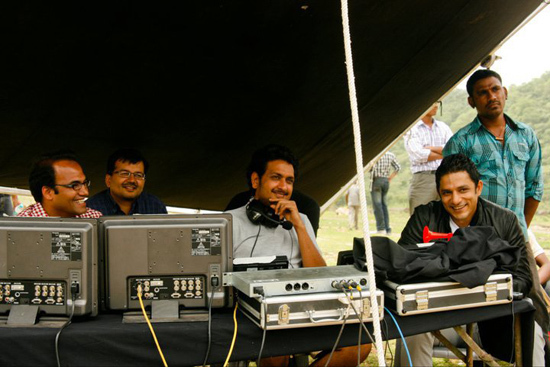 The complete series of the show including the Grand Finale was filmed at Udaipur which was organized and coordinated by The Crew (Sanjay Soni & Siddharth Soni). 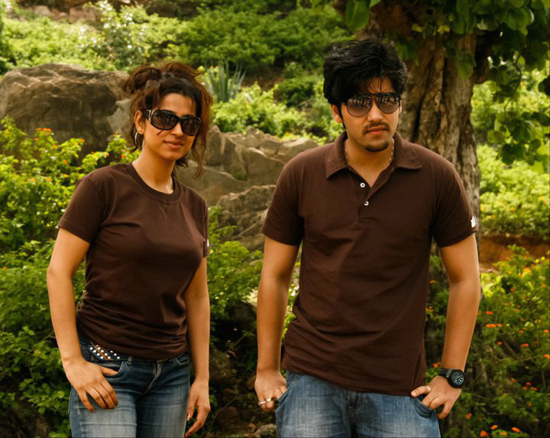 The show was shot at more than 40 different prime sights of Udaipur such as Badi pal, Hotel Fathegarh palace, Shilpgram, Dhudh Talai, Fatehsagar, Haldighati, Havala point, Ubheshwarji, Krishi Mandi etc. The show has 12 episodes in total which is to be telecasted in 6 weeks with its first telecast on 10th September, 2011 at 7:30 pm on star plus (Saturday and Sunday). The show was hosted by Yudi and Roshni Chopra. Director of the show is Arun Sheshkumar. Complete series of show was coordinated by THE CREW. 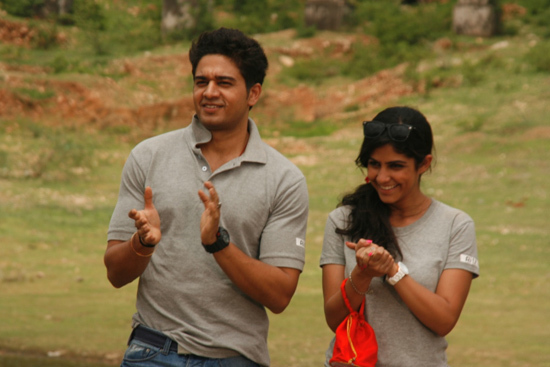 Sanjay Soni (Owner-The Crew) played a role of Sarpanch of a village (as a judge for a task) shot in 1st episode. Few glimpses of the show have been given below. For more details and entertainment must watch the show right from its first telecast on 10th September, 2011 at 7:30 pm on Star Plus. 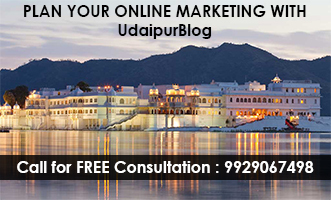 thanks udaipurblog.com………& thnk u sanjay ji sir. aapke sahyog ke bina ye sambhav nahi tha. plz keep more photos of karan wahi…he is looking soooo cuuutteee in red! but only one thing, everytime in the show and even the shooting i have heard that gaurav khanna used to be extra friendly with karuu. he is just being fake with my sweetheart karan..he will end up breaking friendship with him. My Best udaipur lakecity.. i am proud of my city..! !